America’s Statehood Quarters are today’s most popular coins boasting more than 130 million collectors! We’ve set aside a small number of each years designs, to be richly layered with over a mil of 24kt gold for these extraordinary collections. 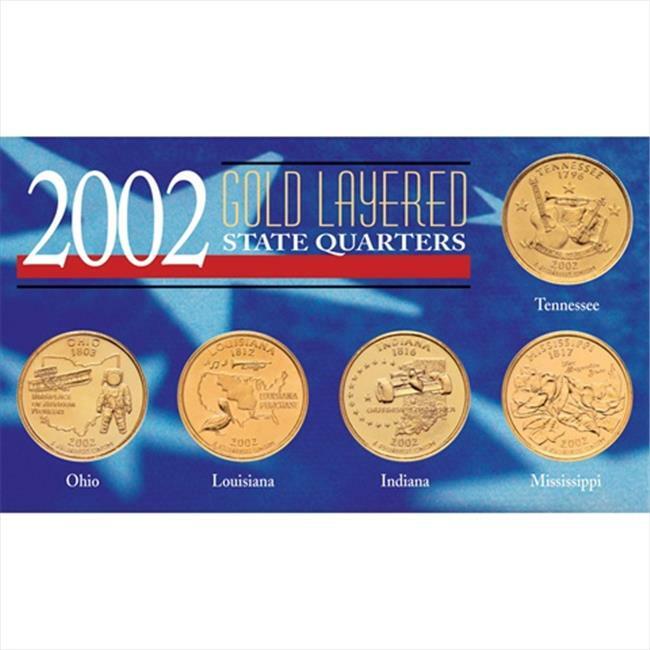 There are five different gold-layered quarters each with the appearance of an expensive solid gold coin. Comes with a Certificate of Authenticity.